Lightfoot Mechanical offers Granbury residents the full range of plumbing services, from toilet repair to gas line services. We pride ourselves on delivering prompt, friendly and professional services to residential and commercial customers throughout the area. From installations and repairs to preventative maintenance check-ups, we do our very best to provide quality service at every stage. We offer the full range of plumbing services for residential and commercial property owners alike. We pride ourselves on being able to provide a variety of services, no matter how big or small. We know that a clogged toilet can be one of the greatest inconveniences, as are these from broken pipes and leaking faucets quickly becoming a nuisance in your home. 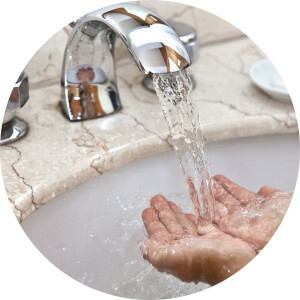 You can rest assured that our plumbers in Granbury TX have the knowledge and skill to help you deal with any plumbing issues that may arise, from the small repairs to the large, we get the job done quickly and professionally. Gas leaks can come from a number of sources, developing in the gas lines of your home as well as through gas appliances. Whatever the case, you need an experienced plumber in Granbury TX on the job to help you deal with the issue. We deploy only the best and most experienced technicians when it comes to dealing with med gas leak testing and repair. We know it can be one of the most life-threatening situations, which is why we only use the right experts to help with tests and repairs. Scheduling routine service and maintenance with a plumber in Granbury TX is essential to help prolong the lifespan of your equipment and fixtures. It will also help to avoid unnecessary repairs and utility costs in the long-run. For a full range of plumbing services offered, simply give us a call and find out how we can help with your plumbing problems. We have been servicing customers across Texas for over 20 years, from Granbury, right through to Weatherford, Burleson, Aledo and Fort Worth. We are proud to offer preferred customer program and discounts to our many loyal customers over the years. If you would like to find out more about our program, or any of our plumbing services, simply give us a call, and we will be more than happy to answer any questions you may have. You can also schedule an appointment with one of our highly experienced plumbers, just get in touch and we will schedule you in.